The respected Apple-focused business analyst Ming-Chi Kuo has made a departure from the general consensus in his industry that the Cupertino company will see 200 million iPhones sold in 2019. Kuo now asserts that this number will be significantly reduced compared to 2018. He has also revised his previous estimate on this subject for the first quarter of next year downwards. Ming-Chi Kuo, TF Securities' famed "Apple analyst" has released a new report in which some of his previous conclusions about the future of iPhone shipments have been re-visited. Kuo had estimated that the Cupertino giant would ship up to 25 million XR (which had recently been reported as the best-selling iPhone of 2018) units in the first quarter of 2019 (1Q2019). However, he has now revised that figure to a maximum of 20 million. 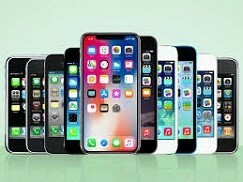 Kuo also now reports that Apple are likely to ship between 38 and 42 million units of all iPhone types in 1Q2019. This is a sizeable year-on-year drop (i.e. from 50 million units in 1Q2018). Furthermore, Kuo also forecasts that the company will sell a maximum of 192 million phones in the entirety of next year. For context, Apple is estimated to sell about 210 million such units by the end of December. Kuo regards this year-on-year drop as significant. On the other hand, other analysts in the same arena are reportedly putting Apple's shipment total for iPhones at closer to 200 million for 2019. Kuo also predicts, however, that Apple are not the ones who will feel the pain of this potentially profound drop in sales. Thanks to the steady increases in prices at launch, the company is likely to pass any negative impact to revenues on to its component suppliers. On the other hand, Apple's business arms could be said to have taken action against potential sales volume losses, through strategies such as unusually aggressive marketing and a resumption in the manufacture of iPhone X units.